Around 1730, in his late 20s, Benjamin franklin listed thirteen virtues that he felt important guides for living. 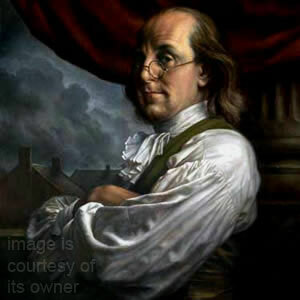 Along with each virtue Franklin included a principle to follow that – in his opinion- would define a person behaviour and social character traits. Let all your things have their place; Let each part of your business have it’s time. Make no expense but to do good to others or your self; i.e. Waste nothing. Speak not but what may benefit others or your self; Avoid trifling conversation. It’s not easy to follow, but giving a try is worth. Have fun and let it naturally plagued into your life and become a habit that you cant imagine the result will be, it will change the way we appreciate our life and influence directly to people around us.